Hey guys! I hope you are all heaving great time :) This post is going to be about sharing some of art for your promotional needs. I am working on one project now and sometime things get a bit unexpected. As a result art is done but is not used. 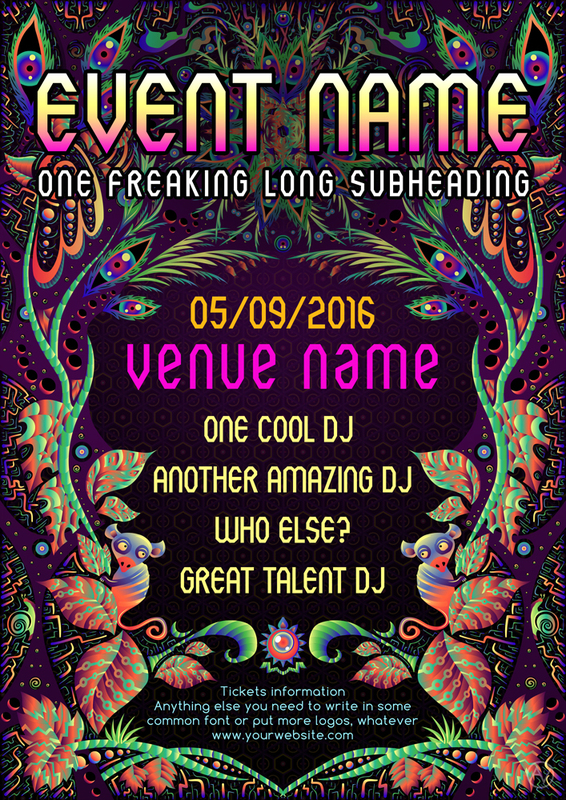 So I believe that’s not right and I really want to share this Free Psychedelic Party Flyer Jungle Template with my audience. A readme file with a link to the free font used in this flyer template and a $5 coupon code for T-shirts (both fluorescent and regular print) and $20 coupon code for backdrops.